On 21st we left Chennai for Hyderabad. We started by 6.50 am, struggled a bit with the bike carrier .. We could put one of the bikes easily, but the second one was a little tough because the folding bikes have a different frame. We had loaded most of the stuff the previous evening itself. We managed to cross Puzhal by 8 as planned. In most places the roads have been repaired very well. In certain portions the toll roads are yet to be made and there are diversions. A couple of trucks had been involved in an accident and suddenly the traffic guys put a couple of traffic cones and redirected the traffic to the other side (wrong side). There was no indication of the change on the other side and we were the first car on the wrong side… I switched on the headlamps and also the hazard lights, but our hearts were in our mouths when a huge truck kept coming straight at us and turned away at the last minute. This sort of change could have been avoided .. The trucks involved in the accident were in one lane and there was still a lane free. They could have just blocked one lane or atleast put some sort of indication on the wrong side to indicate to the traffic on that side that they will have oncoming traffic. 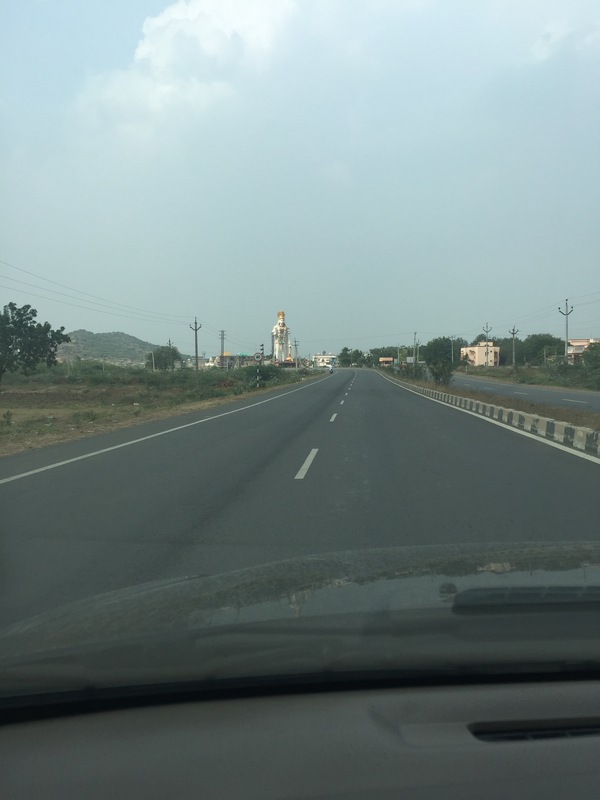 In case you didn’t track when you crossed over from TamilNadu into Andhra/Telengana State, here’s an easy way to know you are in AP/TS – every few kilometers you will come across a statue of Hanuman. In Karnataka it will be a speed breaker every few kilometers. Amma counted atleast 15 Hanuman statues between Gudur and Hyderabad. This road trip was a little different because we didn’t bring a lot of food and just managed by eating a lot of snacks. To augment our snacking we stopped at this Jersey parlour that’s just after the Elchur toll station. It’s coincidental that Bhaskar happens to be my classmate, but we are big fans of the Jersey products. I buy only Jersey milk, curd and ghee. 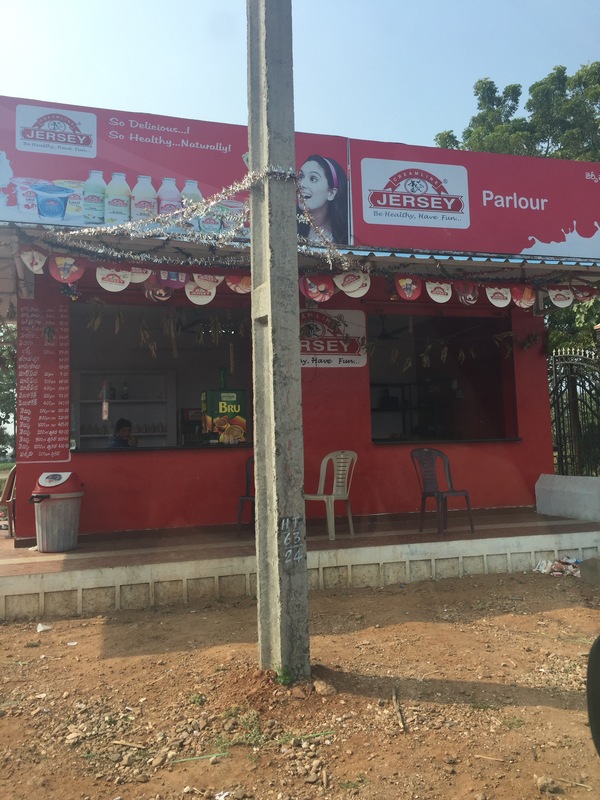 In fact the taste of the Jersey milk is so good that we actually miss the taste in Delhi. We drove really slowly… So reached home only by 7 pm. 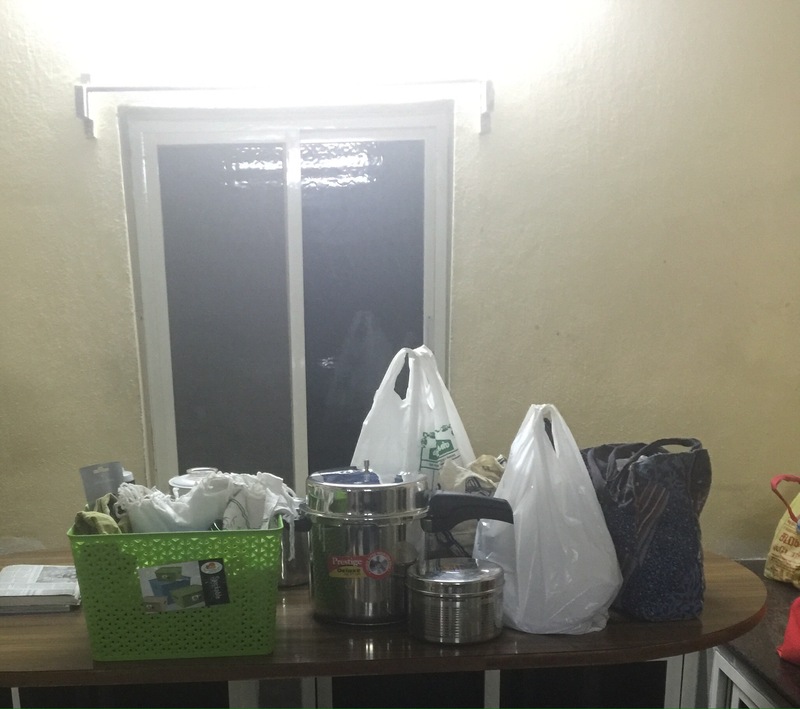 We also stopped enroute at a Cafe Coffee Day and a Udupi hotel. This route doesn’t have many food joints, so it’s important to bring food. 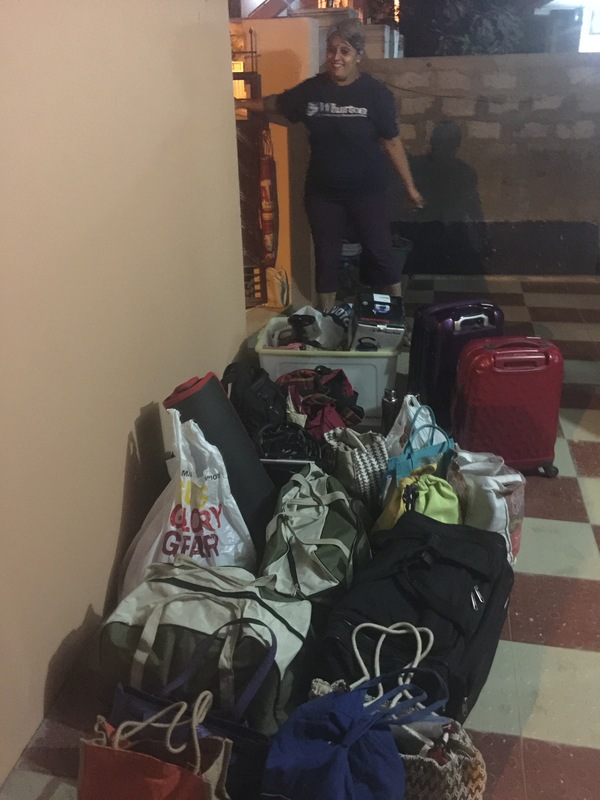 Only when we took out all the things that we had brought along with us we realised the enormous capacity that a Toyota Corolla has !! The following two pictures are all the things that were in the Corolla, plus there were two cycles hung on a bike carrier and three of us inside the car. 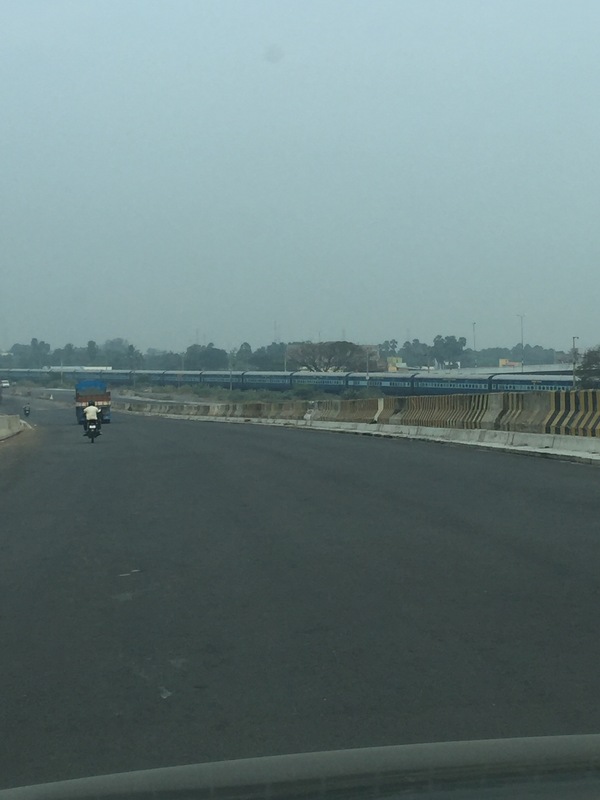 Driving on the Indian roads is fun till you enter any city.. Every city in India is brimming with cars, scooters, bikes, cycles, buses, autos and people walking. It’s tough to navigate this traffic and one has to stay really alert. We were really tired when we reached home and it took the whole next day to recoup :). But…. It’s so much fun to be on the road, can’t give that up ever.